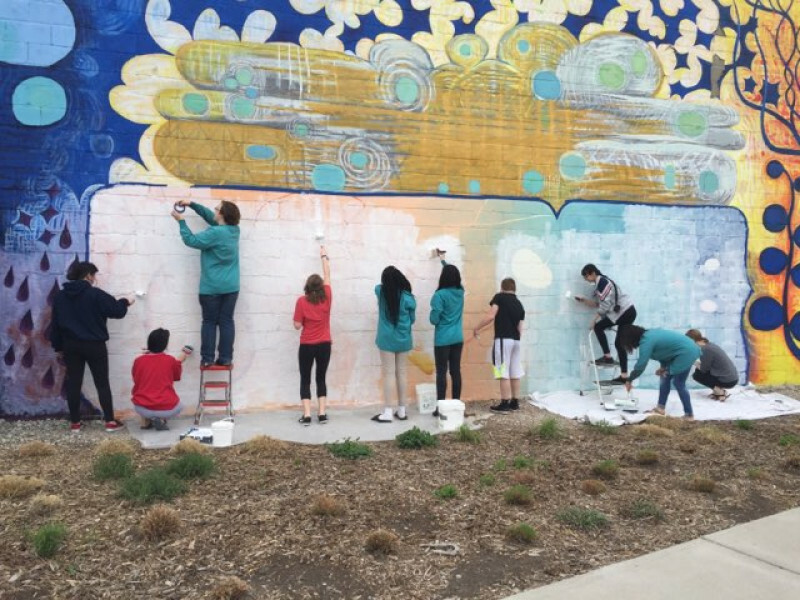 Painting 2 students have the exciting opportunity to create a mural in conjunction with Constellation Studios, a studio organization in Lincoln owned by local artist, Karen Kunc. Your gifts will give our students the necessary supplies to create artwork that will be shared with the Lincoln, Nebraska community. 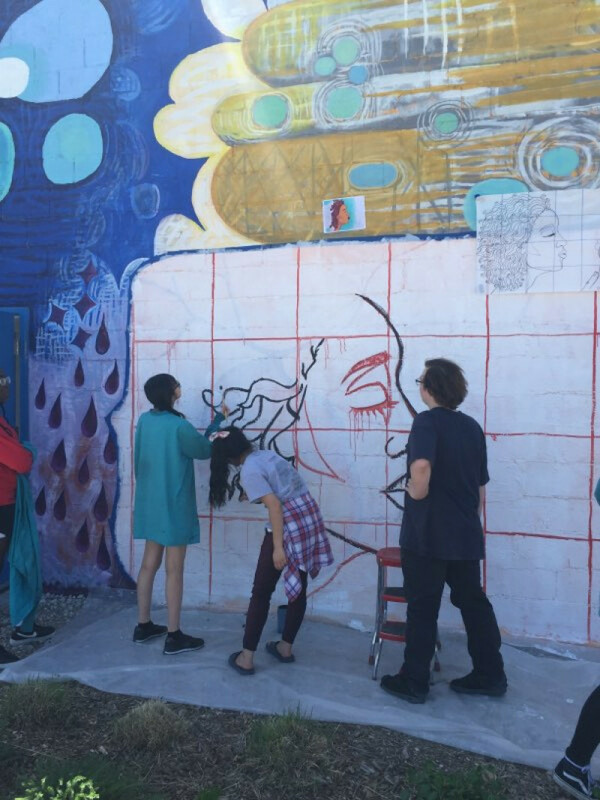 Lincoln High School works to provide a good working budget for its art program, but projects that extend beyond the classroom and provide students with novel experiences often cost more. We are requesting $300 plus cost reimbursement for funds to provide paints, gesso, gloss acrylic medium, brushes, rollers, masking tape, and drop cloths for students to use on this project. Some of these materials will be used completely in creating the mural, and others will get more use in future large-scale painting projects for LHS students. Thank you for your support! 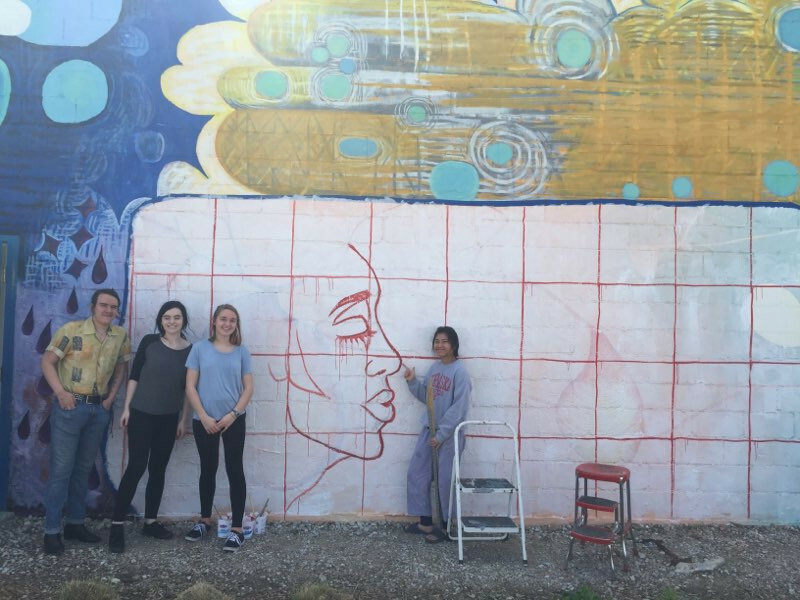 Students started the mural at the end of April and have been working hard, even with weather difficulties! The mural is nearly completed and we are excited to show you the end results soon. Students have been working within the theme of "memory" this semester, and that is the theme for our mural as well. The final imagery will have a young lady blowing bubbles across a blue-green background. This was chosen to hearken back to youth and childhood, and the bubbles and colors fade as they move away from the girl, just as memories change and fade over time. We want to thank all of our donors again for making this possible! Thank you so much to the donors who are making this project possible! Painting 2 students started the mural at the end of April. We have had some difficulty with weather, but are nearly finished painting and very excited to show the final results. Here are some photos of students working hard to create the mural around our semester theme of "Memory." The final work will feature a young lady blowing bubbles. Students chose the imagery to represent youth and childhood, and the colors and bubbles fade as they move away from her, just as our memories fade and recede over time.